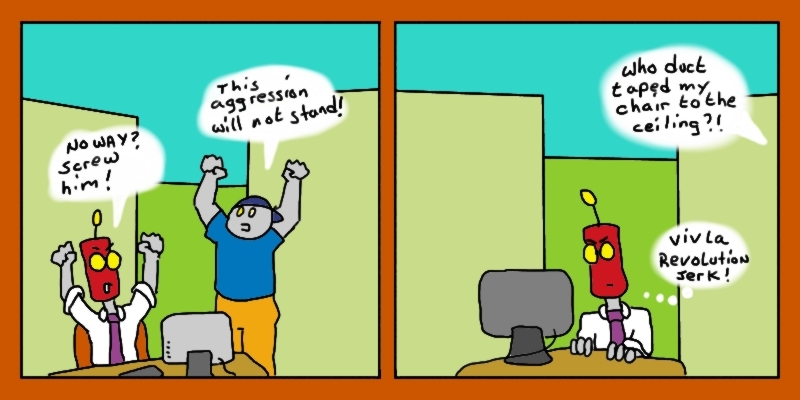 A Robotic Love: Don't mess with I.T. I took his powerpoint, embedded it into a word document, then pasted that word doc into a excel spreadsheet, then I compressed the excel sheet, winrar'ed the compressed file, winzipped it and then sent it to a linux server where I changed the winzipped file into a .tar extension. Once that was done, I took a screenshot of the .tar file, and emailed that using AOL and a 5kb modem.